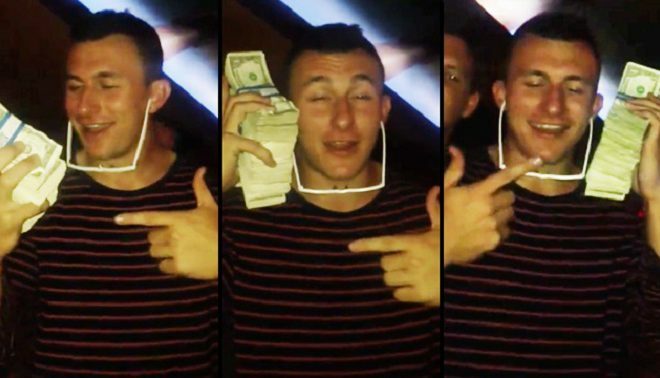 Johnny Manziel took to Twitter to let everyone know that he has finally become self aware. That’s the first step, Johnny. Next stop, Montreal Alouettes? Second, someone make a shirt that says “Lost in the sauce” on it. I want a cut of the royalties.